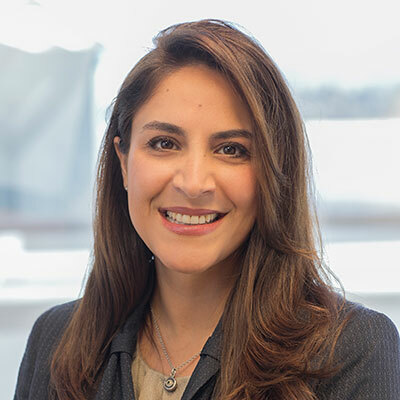 Mahsa Kashani Tippins comes to DeHay & Elliston with extensive experience in civil litigation. Since 2006, her practice has focused on defending clients in all aspects of toxic tort litigation. Ms. Tippins has notable and substantial experience in all phases of discovery, motion practice, and oral argument at court hearings and at trial. Her practice includes the defense of automotive part suppliers, premises owners and other product manufacturers in product liability cases. She has also assisted as trial counsel for an international oil company, a chemical distribution company, a general contractor, a painting subcontractor, an insulation manufacturer, vehicle manufacturers, a talc manufacturer, and has successfully taken cases to verdict in both Northern and Southern California. Ms. Tippins was selected to the Super Lawyers ‘Rising Stars’ list, an honor reserved for those lawyers under 40 years of age who exhibit excellence in practice. Only 2.5% of attorneys in Northern California receive this distinction. With this honor, Ms. Tippins is also recognized in San Francisco Magazine’s section for The Top Women Attorneys in Northern California. Ms. Tippins has also been a speaker at many conferences on a variety of litigation related-topics as well as a guest lecturer for Golden Gate University School of Law. Harris Martin California Asbestos Litigation Conference, December 10, 2014 in Los Angeles, CA: The Insurance Carrier Perspective. Harris Martin California Asbestos Litigation Conference, December 12, 2013 in Los Angeles, CA: The Use of Internet Technology in the Courtroom. Harris Martin Southern California Asbestos Conference, December 8, 2011 in Los Angeles, CA: How Members of the Bar Should Ethically Work Together Within the System. Harris Martin Asbestos Conference for Associates and Paralegals, January 29, 2010 in Los Angeles, CA: How to Depose a Plaintiff in a Mesothelioma Case. · Walice Essavi v. Mack Trucks, Inc., Los Angeles County, 2016: Mesothelioma resolved for client after cross-examination of Plaintiffs’ experts. · Ivory Mitchell v. Elementis Chemicals, Inc., Los Angeles County, 2011: Obtained nonsuit judgment for client. · Milton Righetti and Gloria Righetti v. Exxon Mobil Corporation and Computershare Investor Services, Alameda County, 2009: Defense verdict. · Barbara Harris and Dale Harris v. Elementis Chemicals, Inc., Los Angeles County, 2007: Defense verdict in a living mesothelioma case. · Rubin Flores v. Elementis Chemicals, Inc., Los Angeles County, 2007: Defense verdict in a living mesothelioma case. · Randall Wilkins v. Trizec Realty, LLC, San Francisco Superior Court, 2013: Asbestosis case resolved for client during jury selection. · John Perniz and Mary Beth Perniz v. Redwood Painting Co., San Francisco Superior Court, 2013: Living Mesothelioma case resolved for client following jury selection. · Clifford Parr v. Elementis Chemicals, Inc., San Francisco Superior Court, 2010: Asbestosis case resolved for client immediately preceding jury selection. · Homayoon Enayati and Shahnaz Enayati v. Exxon Mobil Corporation, Los Angeles County, 2009: Living Mesothelioma case resolved for client after jury selection. · William Saller and Donna Saller v. Elementis Chemicals, Inc., Los Angeles County, 2008: Mesothelioma case resolved for client during jury selection. · Amanollah Shahabi v. Crown Cork & Seal Company, Inc., Los Angeles County, 2008: Living Mesothelioma case resolved for client after opening statement. · Anthony Chomo v. Elementis Chemicals, Inc., Los Angeles County, 2007: Living Mesothelioma case resolved for client during jury selection.